I'm currently reading, writing, and avoiding my way through the most intense period of my PhD program. In June I will spend a few hours convincing a panel of experts, selected by me, that I am sufficiently familiar with the discipline of sociocultural anthropology to embark on the dissertation project I have designed. This is called the oral examination. I must prepare for this performance by researching four topics relevant both to my project and to the discipline, and writing bibliographic essays describing my knowledge. My project challenges the traditional separation of university and field site because I have merged the two. Instead of traveling thousands of miles once a year to visit the field, I travel dozens of miles four times a week to visit the university. This act of situating myself between the field as an activist and the university as a scholar sometimes works better on paper than in real life. To me spending long weeks alone, grappling with text and creating new forms of it, seems selfish. It certainly gets lonely. Sometimes my ability to move fluidly from the private, monastic world of my textual research to the human world of my home and field site gets jammed, and I end up feeling like a space creature clinging to nonsense in an impenetrable enclosure. 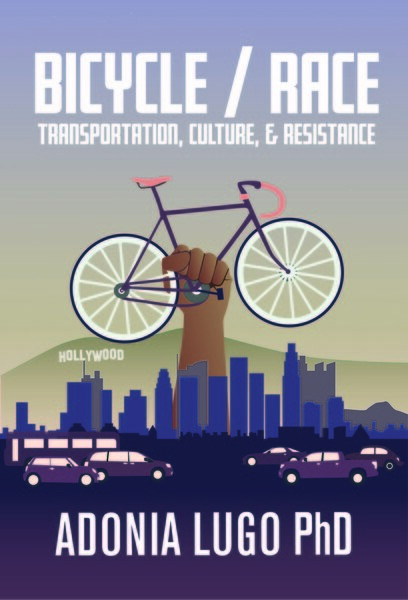 This retreat from the space of everyday life to one of reflection has been something I wished to avoid, so I came up with a project grounded in bike activism. And right now the bike activist in me would be better used writing grants to fund the ridiculously awesome bike cooperative City of Lights/ Ciudad de Luces has started at a day laborer center downtown. Yet I can't do it all! I can't simultaneously devote myself to moving toward becoming a PhD candidate and do substantive work on the activist project that forms an important part of my dissertation research. A while ago I figured out that many academics would like to be more involved in politics and public opinion, but they get swamped with the institutional requirements of working as professors in the United States. Committees, publishing, mentoring undergrads and grads, having families (ha! ); only a few manage to secure their livelihoods and then go the extra mile to frame their work for wider audiences. We sit on the sidelines and grumble at what passes for knowledge disseminated through national media outlets, and that's about all we have time for. I've been fortunate enough to find myself in a doctoral program that not only pushes me to expand academia beyond the Ivory Tower, but also offers me excellent examples of people doing this work, like my adviser, Dr. Michael Montoya, who strives to use anthropological knowledge to impact public health debates and practices. But when push comes to shove, if I want to be an academic, I will have to go through these periods of intense separation from the everyday world. A PhD still has some value to it, even in this era of crowdsourcing and near total surrender to conspicuous consumption. Right?